The time of Jesus’ ministry takes place within a time scholars call Second Temple Judaism. Second Temple Judaism is named this simply because it is the time after the destruction of the first temple when the city of Jerusalem is captured and destroyed by the Babylonian empire in 588 BCE and the time after the temple is rebuilt as a part of the rebuilding of Jerusalem and the return from exile of some of the Jewish people beginning in 520-515 BCE. The world would change dramatically for the Jewish people over the 500 years preceding the time of Jesus’ life but with one exception (the time after the Maccabean Revolt (140 BCE). By the time of Jesus, the Jewish people have been under Roman rule (although indirectly ruled by client kings)since Pompey’s invasion in 63 CE. 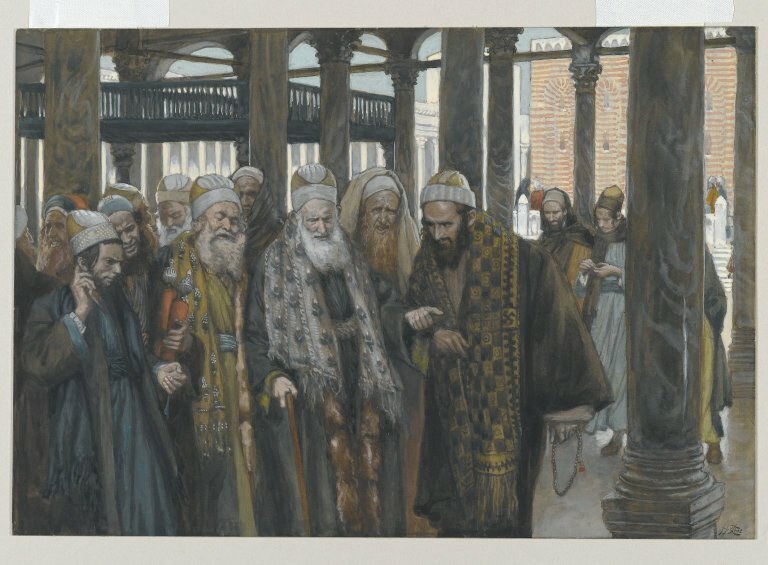 For the time around Jesus’ life you will see some of the religious and political power struggles continuing to play out on the pages of the gospels between Pharisees, Sadducees, Zealots, Herodians and other groups that are trying to figure out how to live out their political and religious philosophies in the context of Roman and Herodian rule. The Pharisees and the Sadducees are both political and religious movements that go back to the time of the Maccabean revolt. Both at various times would occupy greater or lesser authority based upon the ruler at the appropriate time, but by the time of Jesus the Pharisees and Sadducees have been in conflict for well over 100 years. The Pharisees according to the Jewish historian Josephus, a Pharisee himself, had more of their support in the common people and probably more in the rural areas, like Galilee, than within the city of Jerusalem itself (although there were certainly Pharisees within Jerusalem). 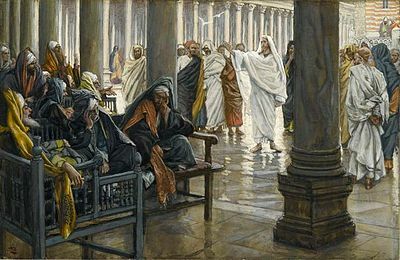 Politics and religion are not separate in the ancient world, so the Pharisees exercise both political and religious authority. The Pharisees were more centered on the reading of the scriptures and the practicing of those scriptures as boundary markers for the people in contrast to the world around them. The Pharisees are often only looked at from a Christian perspective for their disagreements with Jesus, and they are present from very early in the narrative of Jesus because they are present in Galilee where Jesus begins his ministry. You often see the conflicts with Jesus center around the tabernacle, reading of scripture, and particularly Sabbath and other distinctive practices that served as boundary markers in the Pharisees eyes for the Jewish people from the Gentiles. Both they and the Sadducees emerge from a time of forced Hellenization of the Jewish people under the Selucid Empire and to they hold onto these boundary markers as distinctive practices of every faithful Jew. For the Pharisees they attempt to heighten the religious practice of the people in order to bring about a closer coherence with God’s torah, God’s law. Instead of being focused primarily on the priestly practices of the temple they were focused on the actions of the everyday person to live a holy and righteous life. The Pharisees did believe in the resurrection of the dead, which is a belief that emerges in the time of Second Temple Judaism. They were not in the positions of power and yet they believed that ultimately God would intervene and set the world right and the righteous would share in this world that God had liberated. With their focus more on individual practices, the reading of scriptures centered around the synagogues and their practice of trying to discern God’s will through the law they would survive the collapse of the temple in the wake of the First Jewish Revolt against Rome in 70 CE and eventually evolve into Rabbinic Judaism. There is the old saying that the Sadducees didn’t believe in the resurrection so they were sad, you see-and while memorable the saying misses the point. The Sadducees, while they didn’t believe in the resurrection, were far from sad. They were predominantly the priestly class that were in a politically and economically more affluent position than their Pharisee counterparts. For the Sadducees, they understood that God was blessing them in their current life and that were the ones charged with maintaining the temple worship and sacrifice to God. For them the center of their life flows out of the first five books of the Bible and they become the cultic leaders of the temple, offering sacrifices and living a holy life in a priestly manner. The Sadducees to maintain their political power do have to maintain relationship with the Roman powers of the day, whether Herod the Great at the time of Jesus’ birth or Pontus Pilate at the time of Jesus’ crucifixion. They are accused by the Pharisees of being collaborators at times, but with their focus on maintaining the temple function and sacrifice they see that as their primary task. The Sadducees do come into Jesus when he enters into Jerusalem because Jesus does challenge the temple as the source of Jewish authority. For the Sadducees maintaining the temple and by extension Jerusalem are at the center of their life. When the temple is destroyed in the First Jewish Revolt against Rome in 70 CE the Sadducees begin to fade away. Without the temple and its worship they lose their reason for existing and do not have the distributed power base or the focal points of the Torah and the synagogue to be able to recast their identity as easily as the Pharisees do. A much smaller group that do not play directly into the story of Jesus but who have come to prominence with the discovery of the Dead Sea Scrolls are the Essenes. The Essenes pulled away in a monastic way from society and formed smaller groups of dedicated disciples who were practicing a more rigorous form of Judaism. There appears to be both and ascetic and mystical side to the Essenes and they consider the temple compromised to the point where the only option is to separate themselves and form a new community of the righteous. Describe by Josephus as the ‘fourth philosophy’ the zealots were those who felt that the Roman Empire was to be resisted by force. The time of Jesus’ life was not a peaceful one and the zealots make their way into the story in a number of ways. In both Mark and Matthew the apostle Simon is known as Simon the Cananaean but Luke he is know as Simon the Zealot and it is certainly possible that among the followers Jesus there were former freedom fighters. It is also possible that Judas Iscariot’s title may refer to the Sicarii, the knife men and assassins who targeted Roman targets. Perhaps it is Luke’s gospel with the parable of the Good Samaritan, where the man is beaten up by the side of the road by bandits (who may well have been freedom fighters-the road from Jerusalem to Jericho was very instable much like the airport road in Bagdad) but many of Jesus’ teachings at the end of his ministry seem to be directed specifically against the revolutionary messages that the zealots were spreading even in his day. Perhaps this could be one reason, although this will never be more than suggestive, why Judas makes the decision to betray Jesus. Throughout the history of the Jewish people they had different focal points of identity and authority (I deal with this more in depth in my posts of The Place of Authority, particularly parts 1-5). Family and tribe, land, the temple, Jerusalem, the Davidic king and the Torah and more broadly the scriptures at various points become the focal point of Jewish identity. Among the groups in conflict in Jesus day there are different variations on these points of identity. For the Sadducees for example the temple is a central point, for the Pharisees it focuses more on the Torah and the scriptures, and for the zealots there is a focus both on the land and the hope for a Davidic messiah that will lead them out of their captivity under Rome. Within the focal points are various practices and beliefs that help center each group and reinforce these beliefs. Judaism had adapted to various situations throughout its life that would enable them to place their focus in different places to maintain their identity. 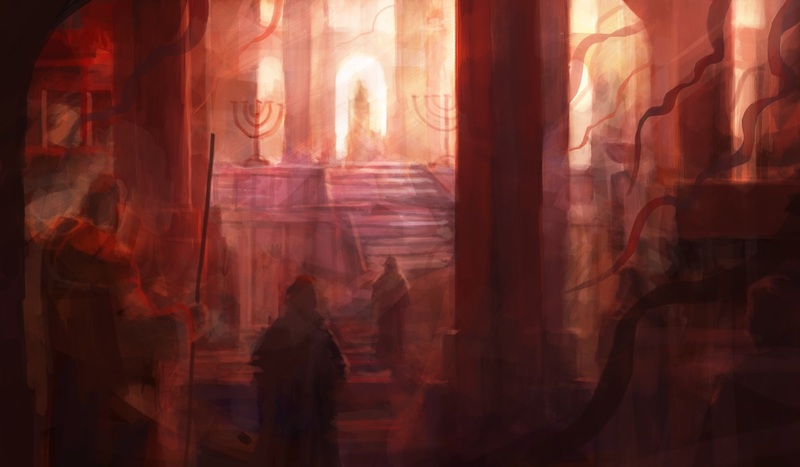 The situation after the destruction of the temple would again be a time where the focus would again become focused on the Torah and on the Hebrew scriptures and the debating on what they would mean for their identity. This was not the first time the Hebrew people encountered this challenge, previously in the Babylonian exile they had to reengage their stories to figure out who they were as the people of God. Those who have read much in this blog know I spent an extended period of time with the book of Jeremiah, and because of that time there are a number of ways in which Jesus embodies parts of the prophet’s life and struggle. Both Jesus and Jeremiah stand at the edge of a major crisis in their respective times where there are people calling for resistance to the empires of their day, Babylon in the time of Jeremiah and Rome in the time of Jesus. Both would struggle with the temple and its hierarchy that had a vested interest in things remaining the way they were. Both would be considered traitors by their own people. Jesus is seen by those around him as a prophet, that is not to limit his identity to that but he was seen as at least that by most of the people of his time. In Mark when Jesus asks, who do people say that I am the response is , “John the Baptist; and others, Elijah; and still others, one of the prophets.” (Mark 8.28) but I found in intriguing that the Gospel of Matthew this is expanded to include Jeremiah specifically mentioned as one of the prophets. Jesus comes into conflict with both the Pharisees and the Sadducees in his day and will ultimately be crucified by Rome under the title the King of the Jews, but the primary reason for his crucifixion in Matthew, Mark and Luke is his opposition to the temple and his challenge to both the Sadducees and the Pharisees sources of authority. The Gospel of Mark dedicates most of chapters 11, 12 and 13 to Jesus’ struggle with the temple and it’s authorities in his time. After the entry into Jerusalem, the following day Jesus curses a fig tree a symbol of the Jewish people and then proceeds to turn over the tables in the temple, quoting Isaiah as the vision for what the temple should be (Isaiah 56.7) and Jeremiah for what the temple has become (Jeremiah 7.11). On the way out of town Jesus and his disciples pass the now withered fig tree and in the text that follows Jesus says, “if you say to this mountain, ‘Be taken up and thrown into the sea,’ and you do not doubt in your heart, but believe that what you say will come to pass it will be done for you.” (Mark 11. 23) Jesus is probably not talking about an abstract mountain, but rather the temple mount where they have just come from. Later in chapter 12 after Jesus had warned his disciples to beware of the scribes that devour widows houses we encounter the story of the poor widow who gives the two small copper coins. Perhaps this is simply a parable of the widow’s piety who gives all she haves to live on or perhaps this is a condemnation of the temple which devour all she had to live on. Regardless of how this passage is interpreted in the following passage at the beginning of Mark 13 Jesus must deal with his own followers becoming impressed by the temple structure and Jesus remarks to them that the temple will be thrown down and they are not to place their trust in it, but they are not to become revolutionaries like many others who will be led astray. Jesus will also struggle with both sets of religious authorities particularly in these chapters which lead up to the crucifixion narrative. Jesus has challenged their authority and they attempt to undermine his authority and shame him or have reason to accuse him of being a revolutionary. Jesus is eventually accused by the high priests and the elders who are assembled of blasphemy, of claiming authority for himself that rested either with the religious authorities or specifically with the God of Israel. Jesus will be a voice struggling within the Jewish people of his day for how people were to order their lives as the people of God and ultimately his vision would not be embraced by the leaders of his day. But for his followers Jesus would in various ways become the focal point of his follower’s devotion to God. As Richard B. Hays argues in his recent work Reading Backwards: Figural Christology and the Fourfold Gospel Witness (Hays, 2014) each of the gospel writers envision Jesus as embodying the mystery of God (Mark), the fulfillment of the hope of the Hebrew Scriptures (Matthew), the one who redeems the chosen people of God (Luke) and the embodiment of the Jewish temple, sacrifice and festivals (John). It is to Mark as an interpreter of the Jewish story that we will turn next. This entry was posted in Biblical Reflections, Gospel of Mark and tagged Essenes, Gospel of Mark, Jeremiah, Pharisees, Saducees, Second Temple Judaism, Zealots. Bookmark the permalink.